In the world of Taiwanese street food, not all are made equal. 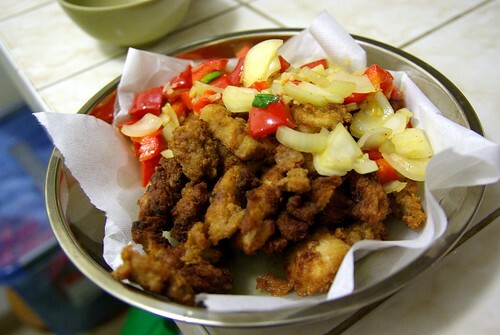 In fact, one of my favourite kinds remains popcorn chicken, a variety of deep fried chicken with the subtle addition of Chinese five spices. I had it in Montreal (in Jason Lu‘s restaurant, Lu Mama), and had it too when I was in the town of Kenting and Taipei). Like anything, it’s more rewarding when you do it yourself. Making popcorn was surprisingly simple. You cut up some chicken (four thighs) and mix an egg, dark soy sauce, honey and cooking wine. 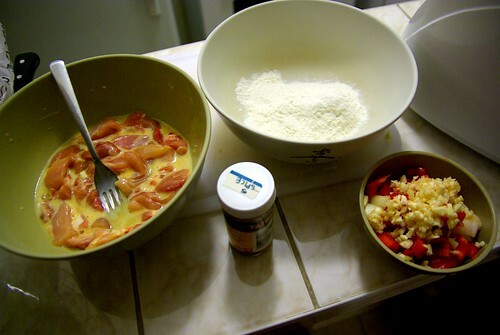 Mix into another bowl of mostly flour and five spices. Add salt for taste. 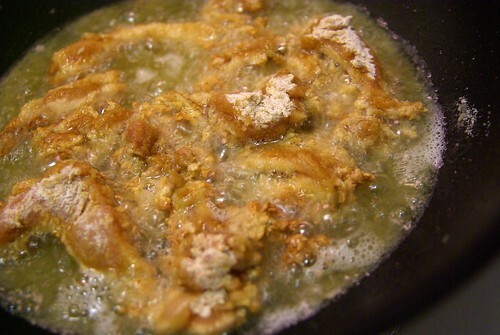 Then go ahead and deep-fry in a wok or whatever. It’s best at low heat, so not to roast the coating. In fact, my recipe is vastly inspired by this one that I found on the Internet. My stomach squirts just by looking at the picture. Looks good. 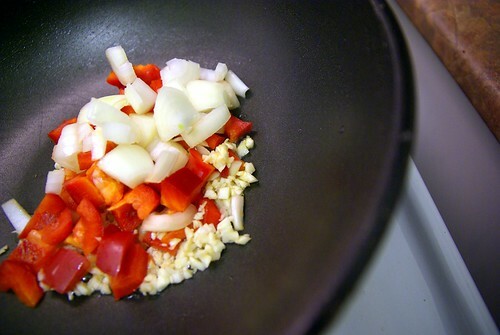 Non-stick wok is too high heat non-tolerant for Chinese style deep fry. Consider stainless or cast iron ones which let you flame it up and scratch all you want with metal spatula. BTW ever hear of the retro cooking show “Wok With Yan”? Je vais essayer ça… C’est alléchant ! Wok with Yan? A chef _and_ a stand-up comic, lol!